Today we review the newest upgraded version of the Syma X8 model, one of Syma’s most famous drones. If you are a drone enthusiast, or even a casual flyer looking for an affordable drone, Syma X8HG might just be one of the best options. In fact, it is one of the cheapest drones to feature an 8MP action camera, plus a nice feature which we will discuss further on. Without further due let us move on to our Syma X8HG review. Syma X8HG is a large quadcopter, it packs everything you need to fly right out of the box. It may include a 0.3MP, 5MP or 8MP camera depending on the package version your purchase and of course the level of image quality you need. The action camera is produced by Syma itself and it’s a low-cost toy version of a GoPro. The package includes a mount case to protect the camera from damage when crashing or hitting. The Syma came can both record video and take photos which are directly saved into a Micro-SD card. Syma X8HG is one of the Syma drones that includes one of the newest features added on low-cost toy drones: Altitude Holder, also known has Barometer Set Height, meaning that Syma X8HG has a built-in sensitive barometric pressure sensor (barometer) that measures air pressure. This enables the drone to lock at a specific height (1 meter from ground), hovering autonomously, without any pilot’s throttle input. This feature enables the pilot to focus on recording video and taking photographs. This is one of the reasons why Syma X8HG is seen as a toy camera drone, because it packs an 8MP camera (above image quality) and features Altitude Holder to help pilot focus on getting the best footage possible. Besides this feature, Syma X8HG also includes Headless Mode (easier orientation despite where the nose of the quadcopter is pointing at), a common feature found on toy drones; and of course, LED lights for night flights and the 360º aerial spin with just the push of a button. As you can see Syma X8HG includes a decent set of interesting and fun features. Powering this large quadcopter and it’s four brushes motors we have a 7.4 voltage 2000mA Lipo battery that provides up to 7 minutes of flight time. Keep in mind that the battery also powers the action camera, therefore flight time might be reduced to only 5 minutes. Syma X8HG has a flight time slightly below average considering similarly priced drones at under 200 dollars. Syma X8HG is controlled via a simple 2.4Ghz controller and has a maximum control range of 70 meters, once again slightly below average specifications considering other drones on the same price range. If you want to buy it, you can check out the current price SymaX8HG on Amazon by clicking here. What do you think of our Syma X8HG review? Will this be your first camera drone? If you want to know more about drones check Drones World. Let us know on the comment section below! 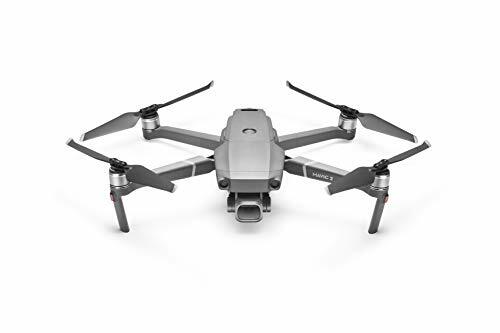 If you don’t like this particular drone, you can choose one of the best drones with camera.